Amazon is buying Whole Foods in a deal valued at $13.7 billion. 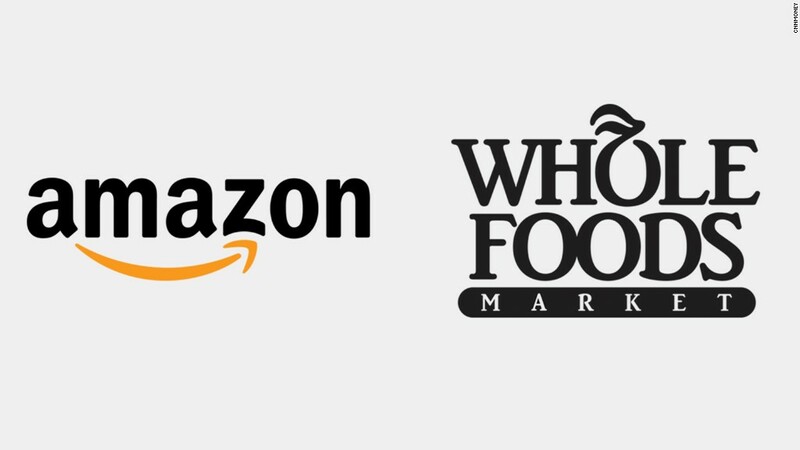 Amazon (NASDAQ:AMZN) said Friday it plans to acquire Whole Foods Market (NASDAQ:WFM) for $42 a share in a deal valued at $13.7 billion. Whole Foods co-founder and CEO John Mackey will remain CEO of the grocery store chain after the deal closes, and the store will continue to operate under the Whole Foods umbrella. The deal is expected to close in the second half of this year. "This partnership presents an opportunity to maximize value for Whole Foods Market's shareholders, while at the same time extending our mission and bringing the highest quality, experience, convenience and innovation to our customers," Mackey said in a statement. Whole Foods has been under pressure from activist investor Jana Partners which has urged Whole Foods to sell itself to another grocer.  Mackey, clearly miffed at the pressure to sell, recently gave an interview to Texas Monthly where he called Jana “greedy bastards,” interested only in profiting from a forced sale of the grocer. Founded in 1980 in Austin, Texas, Whole Foods basically invented the organic grocery chain model. For decades, the company owned the space and grew its store portfolio to include over 400 locations. More recently, as competitors like Sprouts Farmers Market expanded and Kroger delved deeper into natural and organic organic offerings, Whole Foods started to feel the effects. Sprouts, which entered the Atlanta market in 2014, currently has 15 stores open here with a sixteenth expected to open June 28th in Woodstock. Whole Foods, which entered the Atlanta market in 1999 with its store at Briarcliff & LaVista Roads, currently operates eight Whole Foods Market stores in metro Atlanta, one Harry's Farmers Market (expected to close when Whole Foods Kennesaw opens), and one Whole Foods Market in Savannah. In 2014, there was talk that Lakeland, Florida based Publix was "interested" in buying Whole Foods Market, but no deal materialized. Late last year, there was again talk of Whole Foods being purchased, but this time it was Kroger that was the reported suitor. Similarly to the Publix rumor, nothing came of the talk. This past February, Whole Foods announced a 2.4% decline in same-store sales, their sixth straight decline. At the same time, the grocer announced it would close nine "under-performing" locations, including one in Augusta that had opened in September 2014. Amazon, which saw its stock eclipse $1,000 a share earlier this month, has been delving deeper into grocery, going as far as to open multiple brick & mortar grocery "stores." Amazon Go, which the company announced late last year, is a cashier-less mini grocery store where customers' movements and "purchases" in the store would be tracked using RFID and where they are billed to their Amazon account. The service has hit some roadblocks, and is still being tested on Amazon employees as the company works out the kinks. 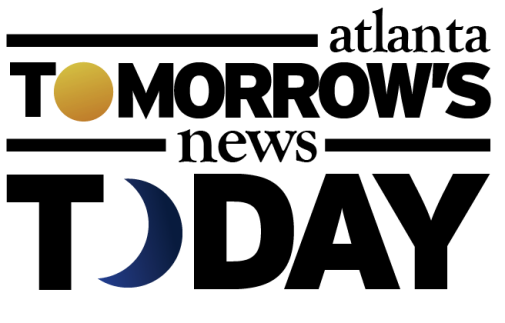 The public launch of the service has been indefinitely delayed to allow for the company to correct issues. Late last month, Amazon introduced AmazonFresh Pickup, a new grocery pickup service, similar to Kroger's ClickList offering. The service, which was first tested on Amazon employees, is free for Amazon Prime members, who pay $99/year to subscribe. Prime members who pay an additional $15/month for the Amazon Prime Fresh Add-on service to get grocery delivery, are able to pick up their items within 15 minutes of ordering them. Standard Prime members are able to select from two-hour pickup windows available on a first-come, first-served basis. Thus far, the service is only available at two locations in Seattle, where Amazon is based. As recently as October 2013, Whole Foods was trading in the $65 a share neighborhood, but more recently it's been in the low $30s. The purchase price of $42 represents a decent, but not extraordinary, 27% premium over the company closing price yesterday of roughly $33. On February 21, Restaurant Brands International - owners of Burger King and Tim Hortons - purchased Atlanta based Popeyes for $79 per share ($1.8 billion), a 19% premium over the stock's closing price the prior day, and a 27% premium over Popeyes' 30 day volume-weighted average price of February 10, the last trading day before media speculation of the deal. On April 5th, JAB Holdings, already the owners of Krispy Kreme and Einstein Bros. among others, purchased Panera Bread for $315 in cash per Panera share, representing a 20.3% premium to the stock's closing price on March 31, the last trading day before media reports of a potential deal. There is no word yet on how or if the Whole Foods/Amazon merger will affect the grocer's current growth plans, but as ToNeTo Atlanta readers will recall, Whole Foods has a number of stores in the works and coming soon to metro Atlanta. 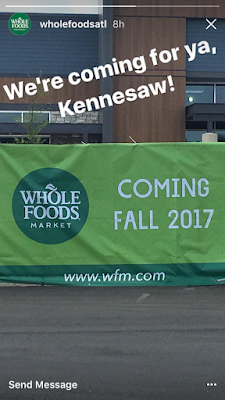 A new Whole Foods Market at Peachtree Station in Chamblee is expected to open late this summer, while another Whole Foods Market is expected to open this fall at Kennesaw Marketplace in Kennesaw. Elsewhere in Atlanta, Whole Foods plans to open a new multi-level, 70,000 square foot "flagship" store at the corner of Spring & 14th Streets in Midtown. The Midtown store is expected to open "Spring/Summer 2018," after having originally been planned for a late 2017 debut. Whole Foods is also bringing their new concept, 365 by Whole Foods Market, to Atlanta. The grocer plans to open 365 stores in both Decatur and Buckhead. The Decatur store will anchor the new North Decatur Square development at the corner of North Decatur Road and Church Street. The Buckhead store will anchor the re-imagined Paces Ferry Plaza at West Paces Ferry and Northside Parkway. Both stores are expected to open in late 2018. Whole Foods most recent opening, The Roast, a quick service Brazilian restaurant within their expanded Ponce de Leon store, opened earlier this month but has seemingly not met expectations with many readers, friends and Yelpers all voicing concerns over the taste of the food but most frequently, the flawed ordering process. 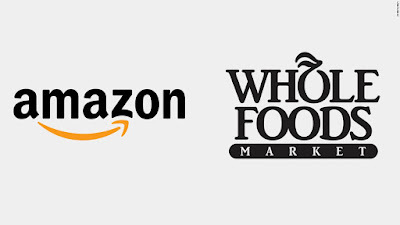 What are your thoughts on Amazon's purchase of Whole Foods Market? Where do you do most of your natural/organic grocery shopping? 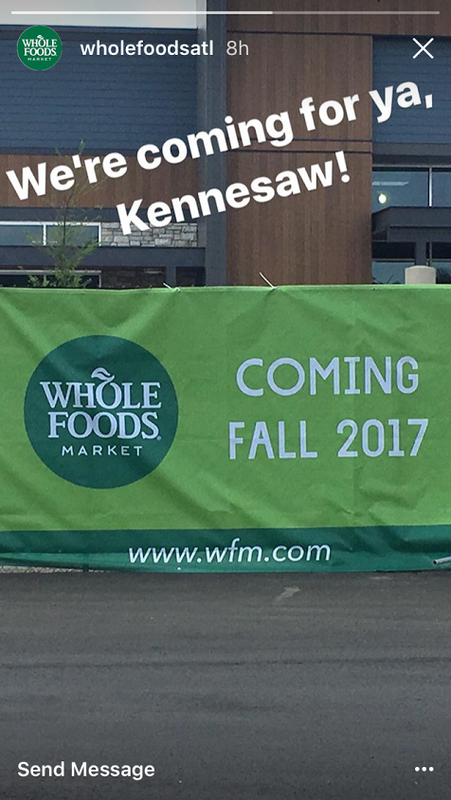 What new Atlanta area Whole Foods Market location are you most excited about?